In this digital world, insurance agents need to understand that direct mail campaigns, newspaper Ads, cold calling, yellow pages Ad do not work. To become a successful insurance agent will need dedication, hard work, and professionalism. If you want to increase insurance sales, choose the correct strategies and tools. Integrating software tools can make financial management and document collaboration simpler and easier. In this customer-centric era, for the long-term growth of the company, it is important to keep customers happy by providing them excellent customer support and enhancing their customer experience. You will have to convert a generic web experience into a customer web experience for each new customer and that's the 'one-of-its-kind' tag your insurance company needs. You are an online insurance company and you are not blessed with these sales weapons. That's why you need to make your website a storehouse for your customers which can offer custom web experience to them. You got it. I'm talking about personalized attention, dedicated service, and an enriched customer care. To offer exceptional customer service you must need to have all the details of the customer. Live chat is the best software to bring your insurance business to the next level and to improve customer service. Customers can start a chat with the insurance agent online just by clicking on a chat window and can get all the information regarding insurance policies or term conditions etc. Let’s see how live chat benefits insurance companies to increase sales. Live chat for insurance allows an agent to handle queries and to assist the customer to choose the best insurance policy as per the requirement. Now, whenever a new user drops on your website and initiates a live chat for insurance details or policies you will have important information regarding that visitor on the pre-chat window for you to deliver an enriched customer experience to him. Smart. Right? But, this isn't the whole story. Notably, there are other roadblocks on the way. Now, put on a customer’s shoe and you will know how deprived it feels when the insurance company agents take a lifelong to solve your simple queries. And, this is for sure that proper communication is the key here. Hiccups may occur in solving existing customer's needs when they opt for policy upgradation or the changing of the same. Further, this communication gap affects the onboarding process for the new customers too. Phone calls are hard to reach too in some areas or sometimes the problem is with timing when important information goes wrong because you can’t get a hold of the person on that right moment. As a company agent, you are failing your customers and appallingly, your company too. Because, convincing the clients is not enough, rather it's a continuous process to be loyal through the whole journey before closing deals. Just a bit of negligence can create the mistrust. The huge gap between the number of leads and closed deals increases continuously. But, technology can’t stop watching the problem only, the solution always comes with high opportunity and so be here. Live chat tools with co-browsing and screen sharing software are the fixes for these issues and also to attract more people in real time. When a customer feels secure with the policy and feels confident about the service of the company, why would they give up on it? They won’t, rather they would be the root of a flow of new visitors too. 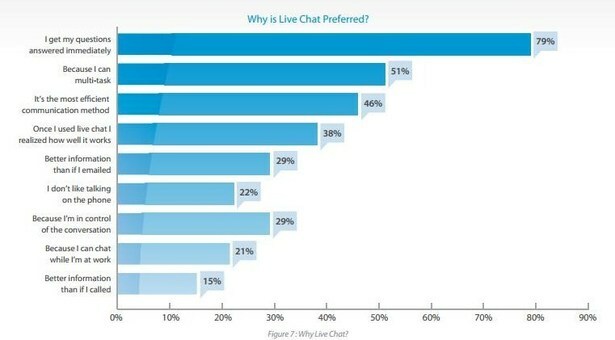 As per reports, customers prefer live chat over other communication channels like phone or email. Customers feel more confident to deal with the business offering live chat services. Till now, we were talking about solutions and data based on them. Now, let’s have the same real example in this matter. It’s the story of HDFC Life insurance Company from losing to gaining the track of their clients. They were unable to retain the old customers and attract new customers due to lack of visual instructions for new technologies and operations. Customers called for applying, have gone through a tiresome question answer session for so many details filled by the agents. Also poor network coverage matched perfectly with this miserable condition. Admittedly, a single wrong information input on the policy form kills the very purpose of getting insured by it. Yes, it happens to the new customers when they call customer reps while signing up for new policies. Because communicating through phone cannot provide the transparency you need in direct contacts. Sometimes due to network problems or sound clarity issues, you may come with some improper or parted information. Again, it takes a lot of time to correct the issues and rewrites them. When time is the essence of life, how it feels wasting time for just a bad network connection! Mistyped numbers and characters populate the whole data. Again, a phone call is the only way to correct them. Sometimes it is impossible to get the right information at the right time. The whole process was enhancing irritation which pushed a large number of customers to give up. But the company didn’t give up on their viewers. They started using live chat tools with Acquire Software. The first step to talk with visitors, they used Acquire tool for live voice and video chat with video conferencing facility. So the viewer’s now can see the facial image of the agents while talking, also by choosing to show themselves or otherwise as they wish. Consequently, the mistakes decreased a lot. In the next step, HDFC Life used Acquire tool for co-browsing. These tools allowed agents to have temporarily access of the customer’s mouse cursor to direct them where to go to find policy features or to fill up every detail on their own. It was important, because no one but the customers themselves can only fill the most proper information about their whereabouts. As a result operating time decreased by 50%. Now it was possible because the customers can directly chat with the proper division they need through video conferencing while they don’t need to download third party software in their system. This new technology created a healthy experience for customer service while decreasing the cost of the operation. HDFC Life agreed to a higher rate, around 65% in this issue from before and which resulted in a rise in the closed contracts, around 62% outrunning the previous graph of the company. Today’s customers are getting more tech-savvy with the continuous growth of technology and they like to make informed decisions. So, neo-modern companies need to scale up the smartness for their services in order to survive in the market. And, Acquires’ live chat tool is the best weapon companies need to have under their belts. Admittedly, better communication breeds stronger customer relationship and business growth. Can you miss that? I bet, you are not. I think you need to form filling problem here. Live chat tool is a great help on your website to encourage assist the customers. Implementing live chat software on your life insurance website will reflect your professional image and shows that your company is customer oriented. This will enhance the online customer experience and will boost the conversion rate and revenue. Insurance company agent can proactively start the communication via live chat and can turn the visitor into leads.